Are you looking for an unforgettable time with your company, high school, sports academy or student association? Thanks to our extensive network in Morocco, we can offer a fantastic package for your group! Are you with a group of at least 10 people and looking for a suitable location for a surf holiday destination? We offer various group surftrips with: surf, yoga and adventure packages in Tamraght, Morocco. For a group tour we can calculate various discounts, do you want to know your discount? send us a quote request! For several yoga schools from the Netherlands we have previously organized yoga retreats. We offer a special package with yogi-proof organic meals, accommodation in shared or private rooms, a large terrace for yoga classes, (silence) walks, day trips to Paradise Valley or the souks for Agadir, and the entire week of transport. For a Belgian student association we offered a customized surfing holiday. The holiday was specially tailored to the young traveler. 4 surfing days, exciting activities such as sandsurfing and cliff jumping, and an evening program. 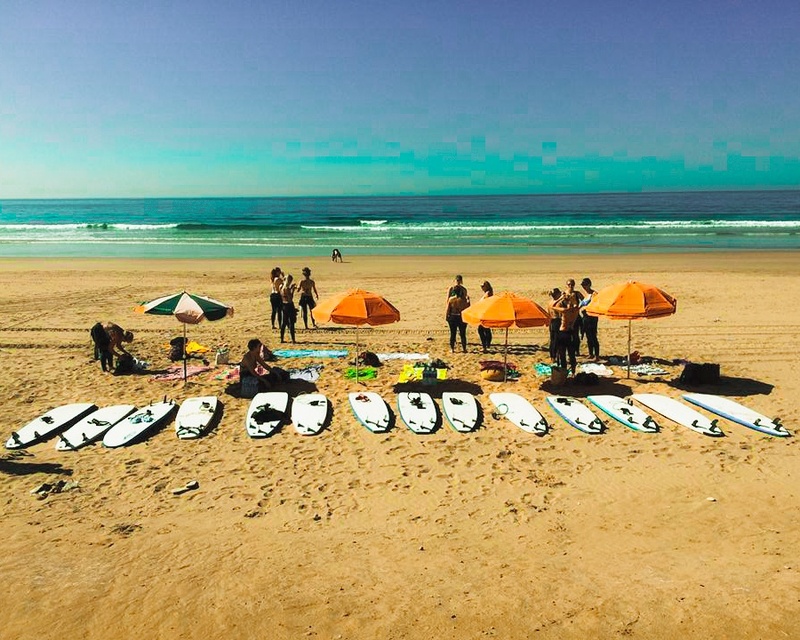 Are you interested in a Surf Paradise Morocco group trip? Send us an e-mail with all your wishes and needs, then we will send you a suitable quote. We are happy to hear from you!